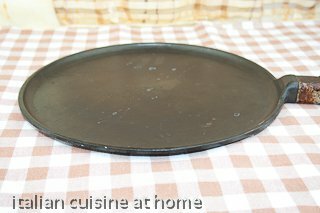 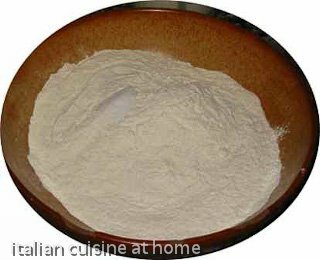 in a blow sieve the flour for making the dough for piadina to check that it is free from bugs and make it soft. 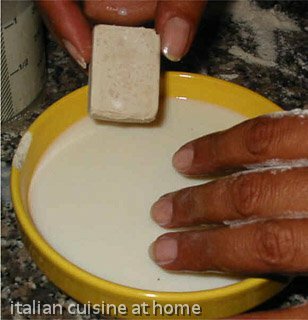 Add sugar and salt and mix well. 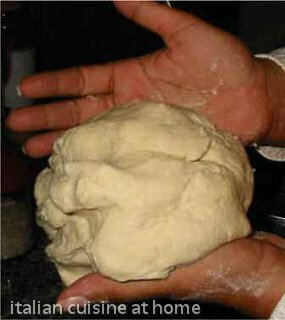 If you wish add aroma as wanted. 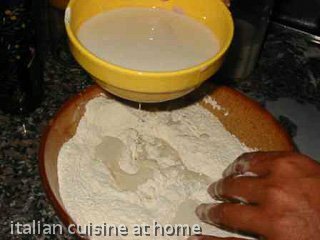 Add salt and sugar and mix. 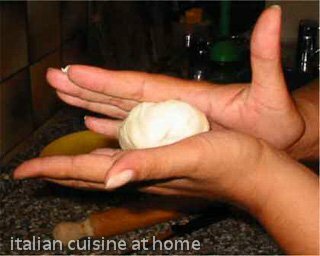 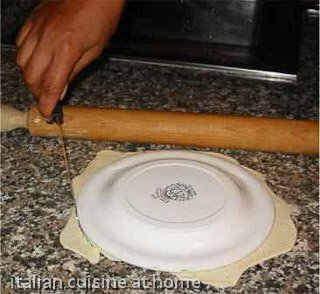 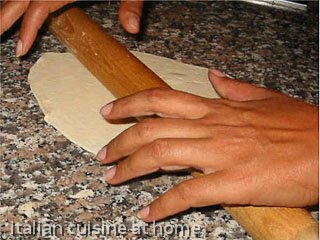 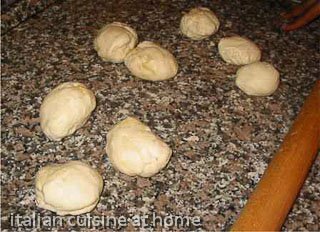 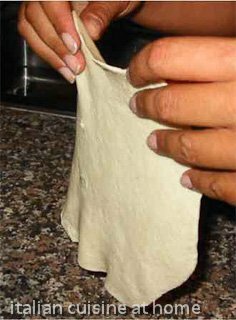 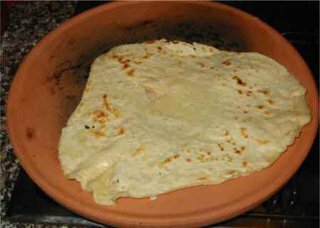 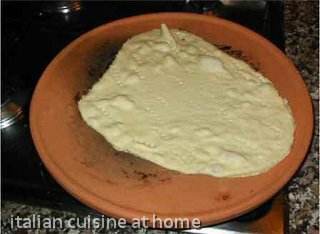 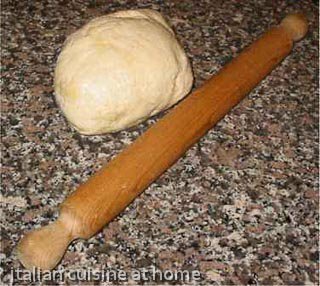 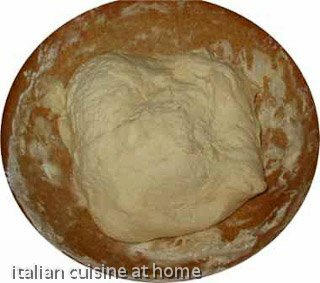 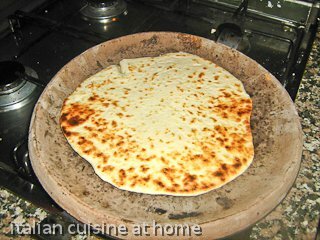 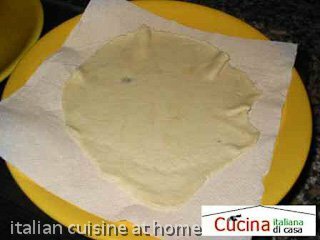 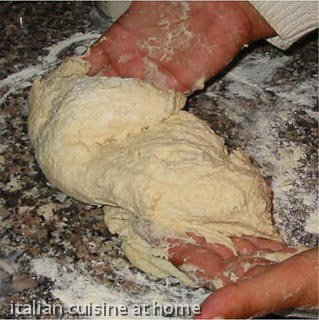 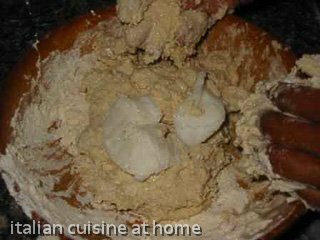 knead the dough for piadina and stop as soon as you get a smooth ball not sticking neither to your hands nor to the counter, but remaining elastic.